Use filmora scrn to keep you get enhanced constantly by recording valuable knowledge. Pluralsight is a technology learning platform which would help the users stay updated with all the appropriate tools enabling them to evaluate their skills and resolve any issues quickly. This online learning platform would ensure that you acquire all the skill you might require to successfully accomplish a job or a project. The instructors are available 24x 7 and you could connect with them any time of the day to discuss your project issues. 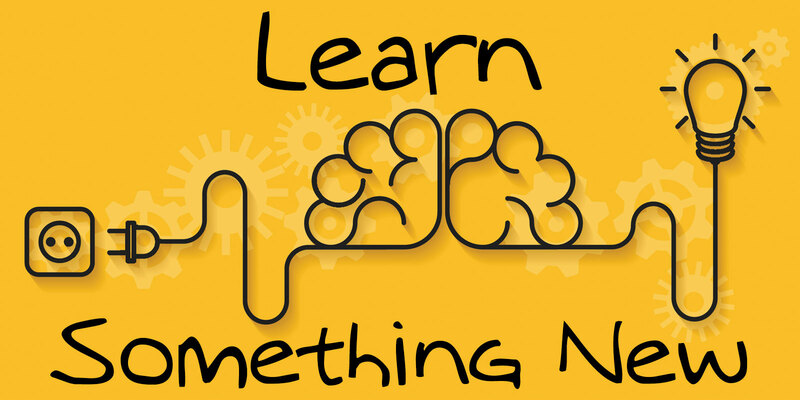 Lynda is another online skill learning platform where you can avail over 5,460 courses in a number of topics. No matter if you want to pursue a career in software development, photography, web design or business you can always enhance your skills by registering yourself with Lynda.com. You are doing to be taught by some of the most successful industry leaders who guide you through the entire course. Their exhaustive subscription library is made available to all the learners so that they can access all the relevant study materials. Lynda offers more than 5467 courses which could cover almost any topic. The most sought after courses at Lynda.com include graphic designing, web designing, photography, web development and software development. Pluralsight has over 5000 courses mostly on topics related to Information Technology. Apart from IT related topics you will also find a few courses in internet branding and soft skills. However here you will not find courses on a variety of topics like in Lynda.com. Pluralsight-Here you are required to evaluate your skill before commencing the learning process. It comes with a special learning technique which would help to cultivate the right skills in your path. Learning Path- Each learning path on Pluralsight comes with an adaptive skill evaluation technique for gauging the skill level of the learner. This would help you identify where to start the course and also the topics which you can omit. The learners can keep testing their skills throughout the entire course duration. Skill Measurement- The specially formulated adaptive skill evaluation technique of this platform helps the users to validate their skill level in roundabout 5 minutes time. By answering 20 pertinent questions they would be able to certify their skills and set a benchmark against their competitors. Unlike other average online learning tests, these ones make use of Item Response Theory and Bayesian inference so as to provide you with customized questions for each candidate. Mentoring - Your learning speed is going to augment when you get 1:1 help from the experts. Instead of searching the net for answers you can just ask a vetted expert to help you out in real time. The course mentors will be available any time of the day and you can connect with them with just one click of your mouse. On Lynda you are going to find a number of skill development paths which would make you a specialist in your field. All the courses come with loads for exercises which would help you sharpen your skills. There are many courses which would give you a certificate once you terminate the course. Pluralsight is more of a specialist’s platform which offers in depth courses for heavy duty programming requirements. Therefore this course might not be relevant to you in case you are a beginner. Lynda offers all kinds of courses both for the beginners as well as the advanced learners. Both these online learning platforms offer in depth courses from some of the top industry leaders. The vetted industry leaders will be available round the clock to answer all your queries. Becoming a course instructor on any of these sites isn’t an easy deal. They are not going to recruit anyone who isn’t fully qualified for the position. Pluralsight: Learner’s course- $29/month, $299/year. Business course- $499/year. You can avail a 10 day free trial. Lynda: Individual plan- Basic- $19.99/month. Premium-$29.99/month. You can also avail the group plan. It can be safely concluded that both Pluralsight and Lynda are superb learning platforms which offers extensive courses on a variety of topics. While Lynda is going to be more apt for designers, web developers can immensely benefit from both the platforms. As already mentioned above Pluralsight comes with great instructors, good materials and in depth content meant for IT professionals. However this website is not so congenial for the beginners. Lynda offers loads of content, covers thousands of topics and its courses are more affordable than that of Pluralsight. Before deciding on which platform to join you need to figure out what you want to learn and find out your skill level. Ideally you should go for a free trial in both the platforms before joining.